Forest industries contribute much to the Newfoundland and Labrador economy. They create jobs, stimulate local businesses, add to government revenues through taxation and other means, and help to diversify the province's economy. Since the 1970s, the forest sector in Newfoundland and Labrador has included newsprint mills, sawmills, logging operations, a linerboard mill, and various manufacturing companies that produce wooden goods. Most activity is concentrated in central and western Newfoundland, although Labrador's vast forests also attract attention from government and industry. The paper mill in Grand Fall began producing newsprint in 1909. Image reproduced by permission of Roseline Mouland. ©2011. The commercial forest sector has been active in Newfoundland and Labrador for more than a century, but it is not consistently profitable. Forest industries depend on the international marketplace for income and are therefore subject to various risks and uncertainties. In recent years, a global recession and a struggling newspaper industry have made it difficult for the forest sector to remain profitable. Demand for newsprint and other goods has shrunk significantly and caused some industries to reduce production, lay off workers, or even end operations. In 2009, forestry and logging employed only 0.2 per cent of all workers in Newfoundland and Labrador and contributed 0.3 per cent to the province's GDP. 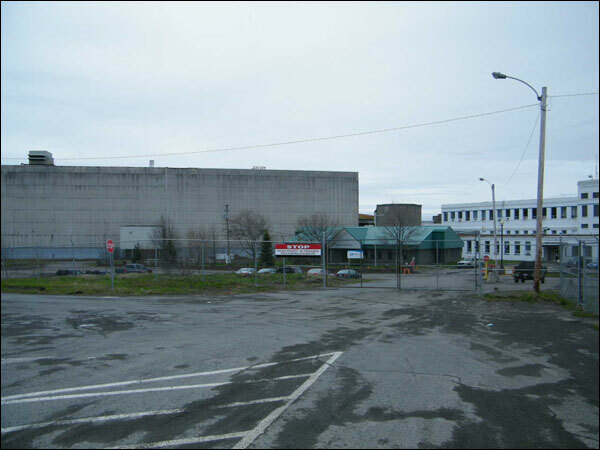 The newsprint mill in Corner Brook became the only active one on the island after AbitibiBowater closed its Stephenville and Grand Falls-Windsor mills in 2005 and 2009, respectively. However, numerous sawmills still operate in the province, as do various companies that manufacture flooring, kitchen cabinets, furniture, and other goods from local lumber. The pulp and paper industry has traditionally been the backbone of Newfoundland and Labrador's forest sector because it generally employs more people and makes more money than any other single forest industry. By 1972, two newsprint mills existed on the island – one in Grand Falls and a second in Corner Brook. The Price Pulp and Paper Company operated the Grand Falls mill, but, after a series of corporate mergers, changed its name to Abitibi-Price in 1975, Abitibi-Consolidated in 1997, and AbitibiBowater in 2007. Abitibi-Price bought a failed linerboard mill at Stephenville from the province in 1978, which it converted into the island's third pulp and paper mill. The facility produced its first newsprint in 1981. Bowaters bought the Corner Brook mill in 1938, but sold it to Kruger Inc. in 1984, due in part to slumping profits. Each of the island's three mills became major employers in the regions where they were located and were vital to local economies. Paper companies not only create jobs for mill workers, but also for loggers, truckers, dock labourers, and other workers involved in the harvesting, processing, and shipping of wood and newsprint. Employment exists for both mill town residents and for woods workers living in the numerous small communities in central, western, and northern Newfoundland where paper companies have timber rights. In 1989, the province's pulp and paper industry created direct employment for 2,200 mill workers and 1,500 woods workers. Salaries within the industry are generally high compared to other regional jobs – in 2007, average weekly wages for mill workers and loggers were $1,146 and $924, respectively, while the average weekly wage for all Newfoundland and Labrador workers was $665. With well-paying employment comes increased spending, which benefits other sectors of the economy, including the retail and real estate industries. Federal, provincial, and municipal revenues also benefit from an associated rise in income, property, and sales taxes. Despite the economic importance of the pulp and paper industry to Newfoundland and Labrador, it is not a risk-free endeavor. The industry must sell newsprint on the international market, where prices and demand fluctuate in response to a variety of factors over which industry officials have no control. These include the shifting value of the Canadian dollar and other currencies, the overall health of the global economy, the wellbeing of the newspaper industry, and sociopolitical developments in nations that buy newsprint. In recent years, slumping markets and a global recession have created problems within the pulp and paper industry. Newfoundland and Labrador mills traditionally sell much of their newsprint to North American and European markets, yet demand for newsprint has steadily declined on both continents since the late-1990s. This is due in part to competition from online news sources, which has cut into newspaper sales and prompted some publishers to either scale back the number of issues they print or switch from a broadsheet formula to a smaller tabloid format. Newsprint consumption in the United States decreased by almost 50 per cent during the first eight years of the 21st century, dropping from 11.9 million tonnes in 2000 to 6.8 million tonnes in 2008. To compensate for shrinking profits, paper companies operating in Newfoundland and Labrador have laid off workers and significantly reduced production. 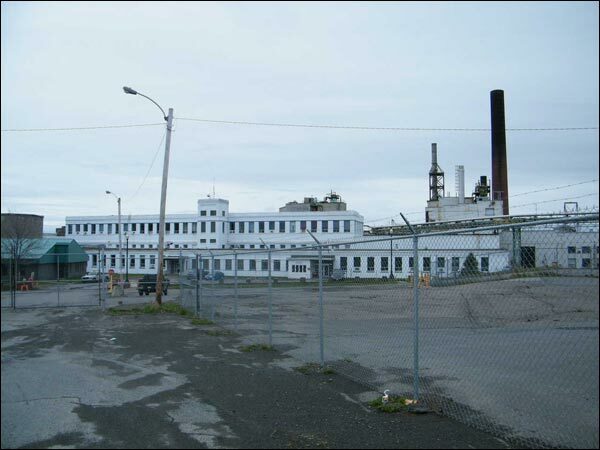 Abitibi shut down its Stephenville mill in October 2005, which eliminated about 300 full- and part-time jobs. The company also closed its century-old newsprint mill at Grand Falls-Windsor in 2009, putting an additional 450 fulltime employees and 500 seasonal or part-time employees out of work. AbitibiBowater closed its century-old newsprint mill at Grand Falls-Windsor in 2009. Kruger's Corner Brook mill is still operating, but the company has had to significantly trim its workforce and production levels to remain profitable. Sinking newsprint sales and a high Canadian dollar have hurt Kruger's profits and prompted the company to shut down one of its three operating paper machines at the mill in 2009, resulting in job losses for 70 mill workers and 60 woods workers. The company still employs about 530 workers – 380 in the mill and another 150 in forest operations. The sawmill industry (also known as the lumber industry) is the second largest activity in the province's forest sector. It consists of large commercial sawmills that operate year-round, as well as much smaller family-owned sawmills that function on a seasonal basis. The larger mills employed between 175 and 260 workers in 2003 and paid wages that ranged from between $10 and $16 per hour. The province's sawmills sell most of their lumber to the United States and to local markets. As with the newsprint industry, the value of lumber exports fluctuates in response to a variety of external factors. These include the health of North American housing markets, shifts in the global economy, and the changing value of the Canadian dollar. The price of lumber decreased by 50 per cent between 2004 and 2008, dropping from US$405 per thousand board feet to US$200 per thousand board feet. During that same time period, the province's lumber production decreased from 125 million board feet to about 70 million board feet. Some sawmill operators halted operations as a result of shrinking profits, while others trimmed their workforce. Value-added industries are the third component of Newfoundland and Labrador's forest sector. These are companies that use locally harvested wood to manufacture a wide range of products, including furniture, kitchen cabinets, acoustic guitars, flooring, wainscoting, exterior siding, and mouldings. Unlike newsprint mills, value-added industries have a small workforce – most companies employ fewer than 15 workers. There were approximately 20 such companies in the province n 2003. The sector employed about 250 workers and had an economic value of $10 million.